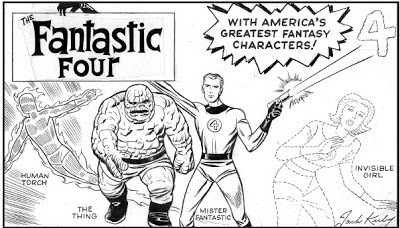 In Their Own Words: Who Created The Fantastic Four? Stan & Jack Speak! A while back I posted the first in a series of oral histories, by the people who were there, compiled from various sources, which detailed who did, or didn’t, create the Amazing Spider-Man. The reaction to the post was better than I expected, so I’ve decided to continue the concept as a series and cover as many of the Stan Lee/Jack Kirby creations as I possibly can. To that end, here’s part two, the Fantastic Four.